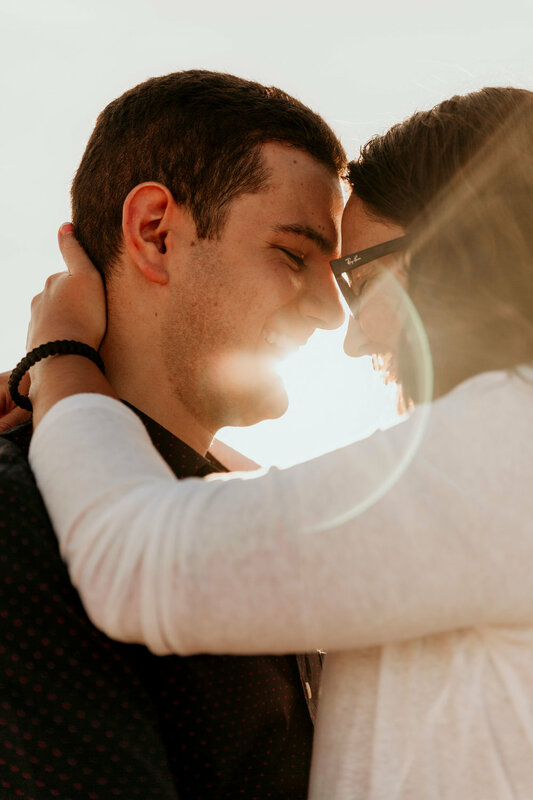 Kaitlyn and Blake were a couple that I absolutely adored having in front of my lens. 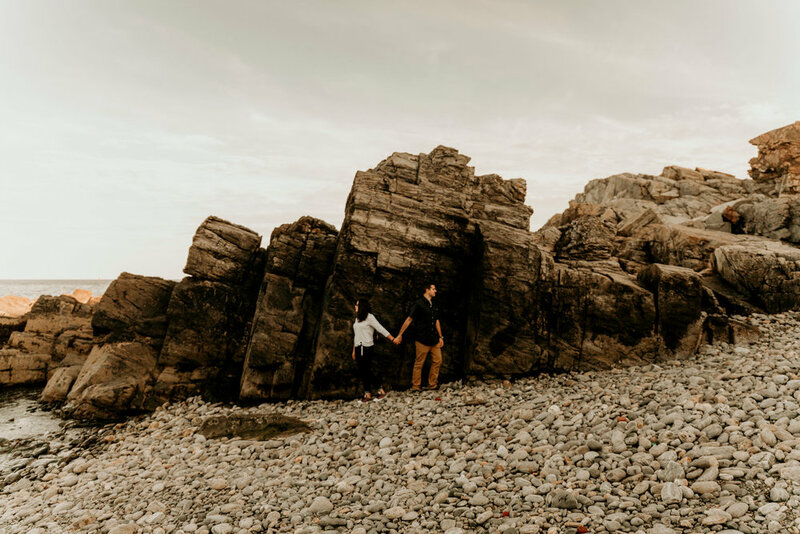 We adventured up to Portland Head Lighthouse in Portland, Maine for their engagement session, and it was beyond magical!! 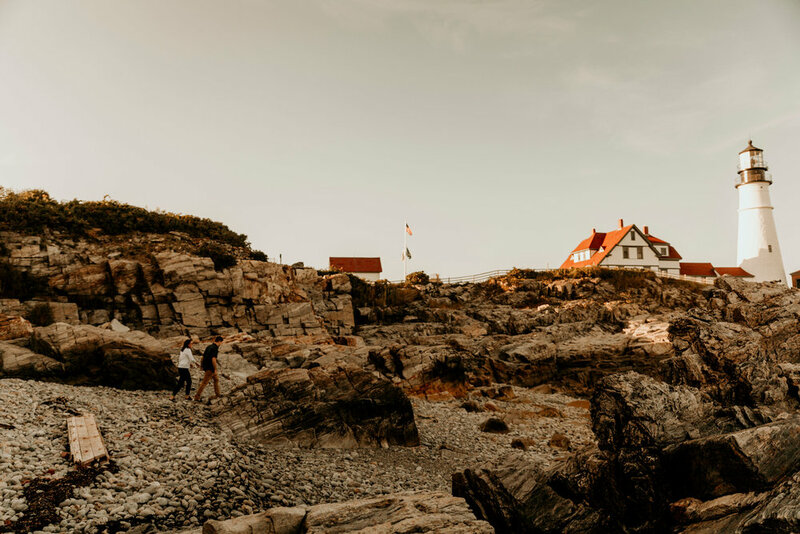 Portland Head lighthouse is a special place for me, as it was somewhere I spent a good bit of time as a child. For some reason standing under that lighthouse and capturing these two and the love they share, made the place more magical than I remembered it being. Both Kaitlyn and Blake are engineers who met during college in New York, which I think is just the most adorable love story in the whole wide world. 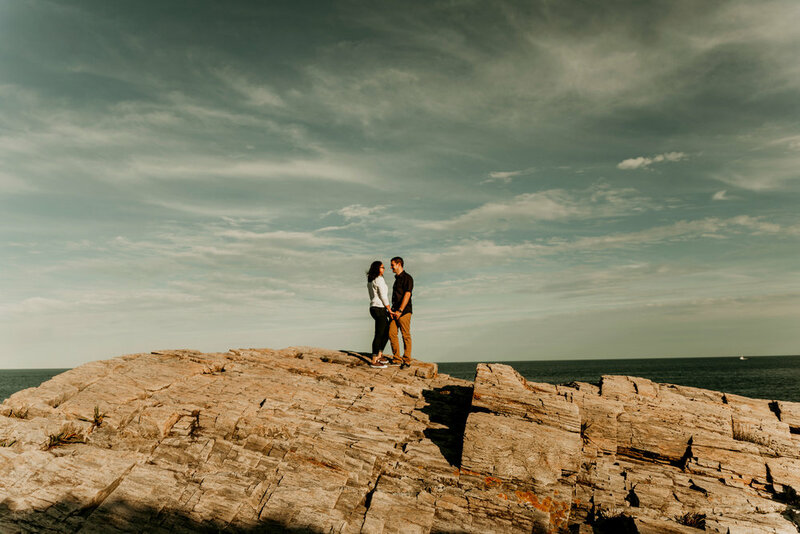 When they said they wanted to do their session at Portland Head Lighthouse, I knew it was such a great location, and I thought it was ironic as I mentioned before, I went there a alot as a child. 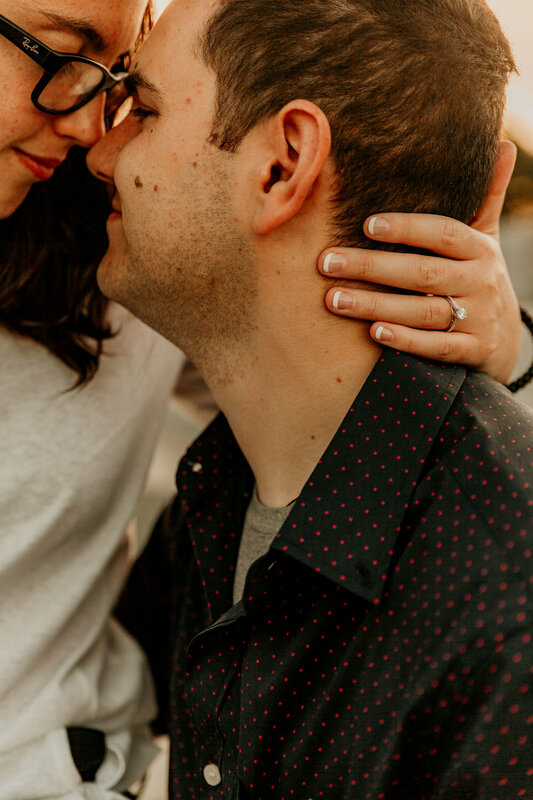 Now the really ironic part, is that Kaitlyn and Blake are getting married at a lake I grew up going to- talk about fate, me being their photographer! 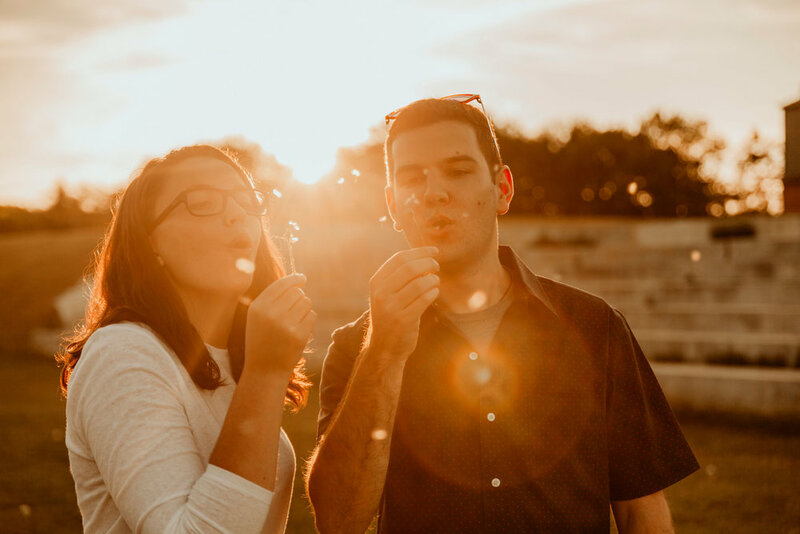 They are getting married at the gorgeous Sebago lake in fall of 2019. When we got to the lighthouse we were determined to get some beautiful golden hour shots right before the sun set. 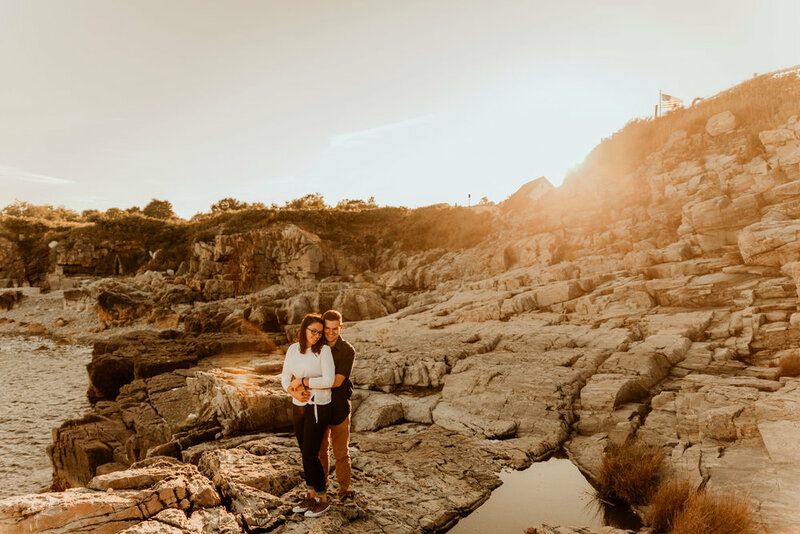 The lighting was absolutely perfect as the sun was setting, and you can see the gorgeous glow in their photos. Not only did we get some epic shots, but we even jumped the fence in order to get some amazing rock shots- shhh, don’t tell anyone! It was quite an adventure, included a few good laughs, and caught the most gorgeous photos. 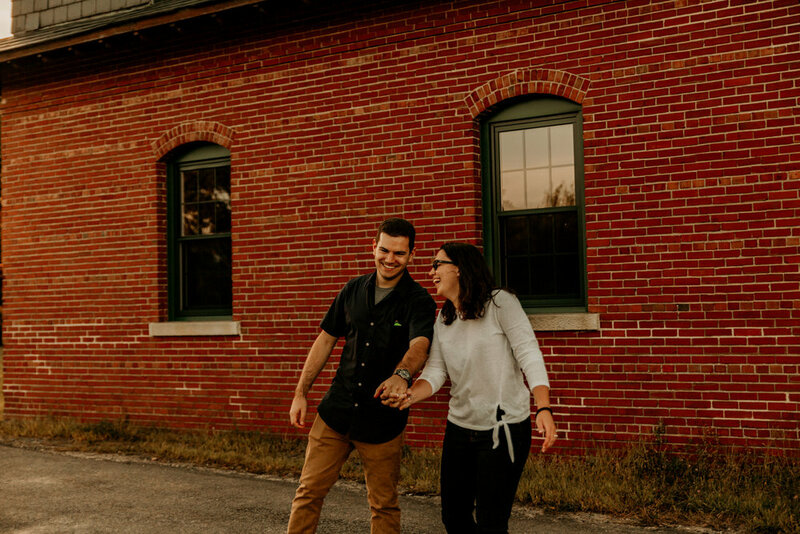 This session was one for the books, and I absolutely cannot wait to see how stunning their wedding is at Sebago Lake next fall! Thank you Kaitlyn and Blake for being so willing to adventure (and jump fences) with me for the most beautiful photos ever. 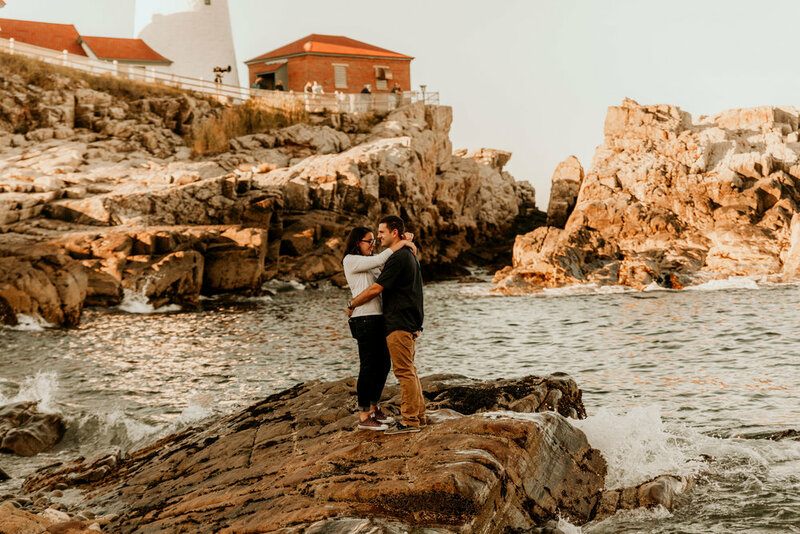 Portland Head Lighthouse has never looked so beautiful with you two in front of it.